Broken Bells, composed of James Mercer (of The Shins) and Brian Burton (aka Danger Mouse), performing on the outdoor stage Friday evening. 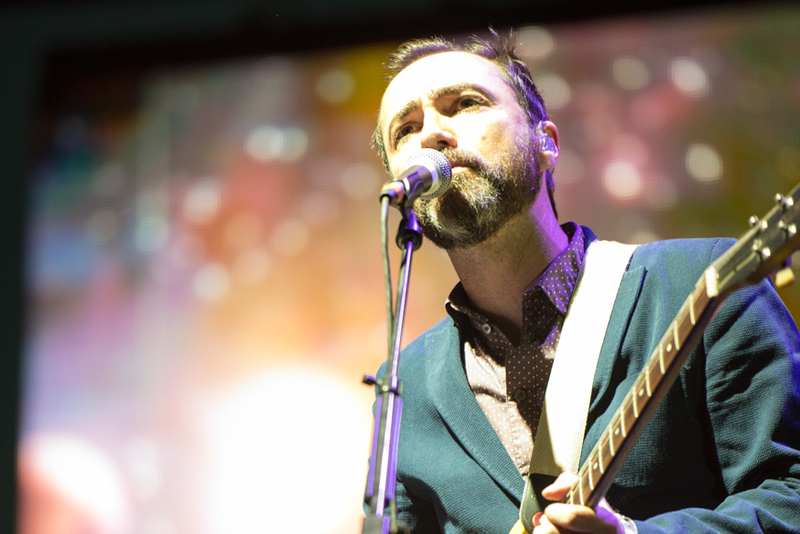 James Mercer of Danger Mouse and The Shins has officially announced the latest from his collaborative project Broken Bells. Their new single, entitled “Shelter,” is out this Friday, Dec. 7. This announcement comes after the band has been teasing the release of new music. The teasers can be found all over the band’s Twitter. Broken Bells’ last album was released in 2014, entitled After the Disco. in 2015, they released the single “It’s That Talk Again.” Since then, Mercer has released Heartworms, as well as its companion piece The Worm’s Heart, with The Shins. This past year, Danger Mouse produced Wide Awake!, Parquet Courts’ new album.